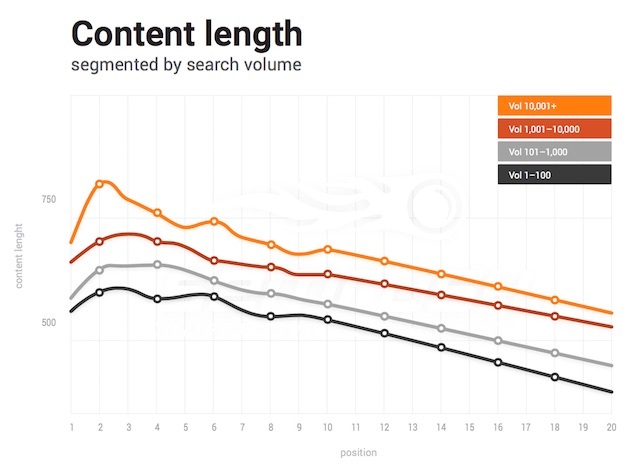 The popularity of a website appears to be the most important factor Google’s search engine takes into account when ranking a page, according to recent research from SEMrush. The report was based on analysis of data from 600,000 global keywords. The researchers applied a machine-learning algorithm to determine which factors influence Google search engine result page (SERP) organic position (see the full report for the complete methodology). 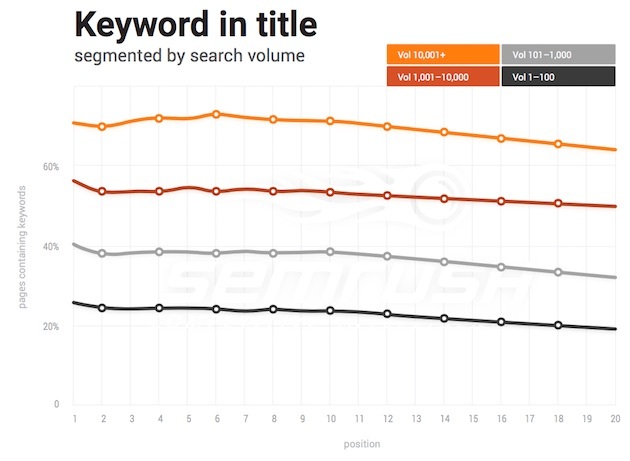 The results were segmented into four keyword volume classes: low (1-100 monthly searches), mid (101-1,000), high (1,001 -10,000), very high (10,000+). 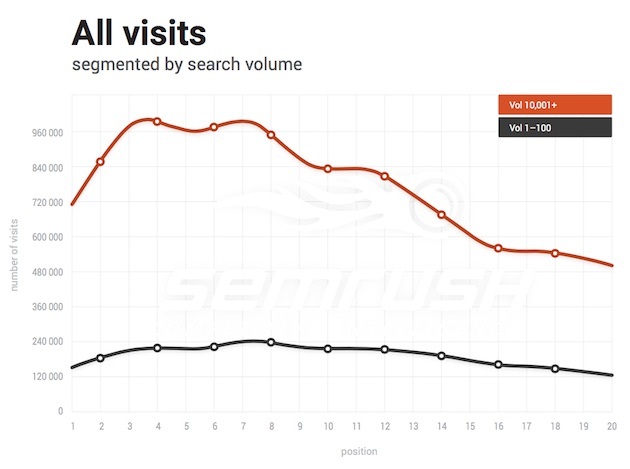 The number of monthly visits to a website (i.e., its popularity) is the top factor that influences where a page from that site ranks on Google SERPs, the analysis found. 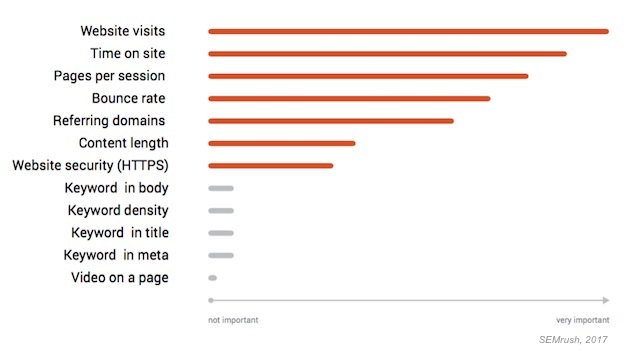 The importance of monthly website visits (site popularity) is especially important for high-volume keywords, the analysis found. 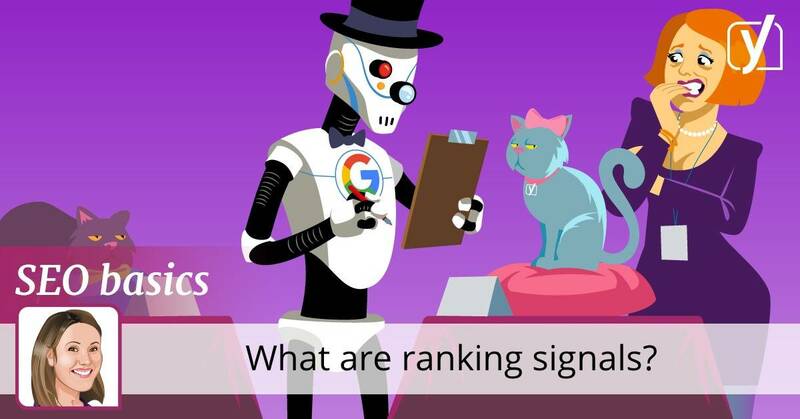 Traditional SEO signals such as keyword presence/density do not appear to significantly influence how pages rank on Google SERPs, the analysis found. 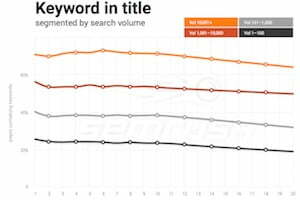 However, most top-ranking pages for high-volume terms do include the relevant keywords in their titles as well as in the body of the text. About the research: The report was based on analysis of data from 600,000 global keywords. The researchers applied a machine learning algorithm to determine which factors influence Google search engine result page (SERP) organic position.